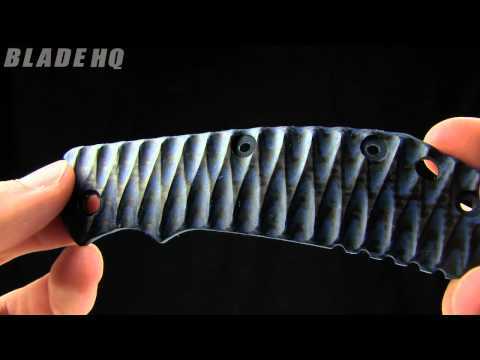 The Hinderer designed Zero Tolerance 0550 knife is a tough folder with excellent ergonomics and a solid build. 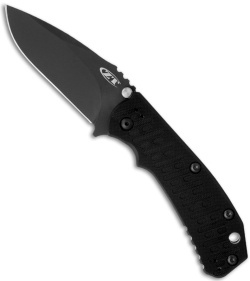 It has a DLC black finished S35-VN steel blade. 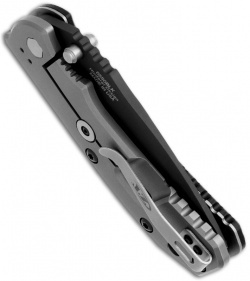 The handle features a black G10 scale over steel liner and a bead blasted 6AL4V titanium frame-lock with lockbar stabilizer. 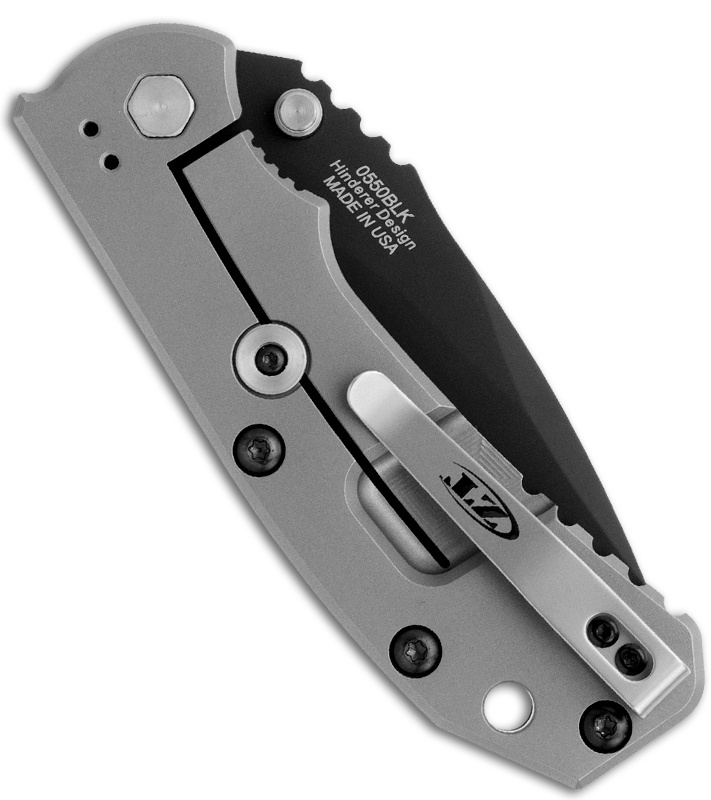 2nd Gen. with 4-way reversible deep carry pocket clip.